Any classic car restoration is actually a collection of smaller restoration projects. 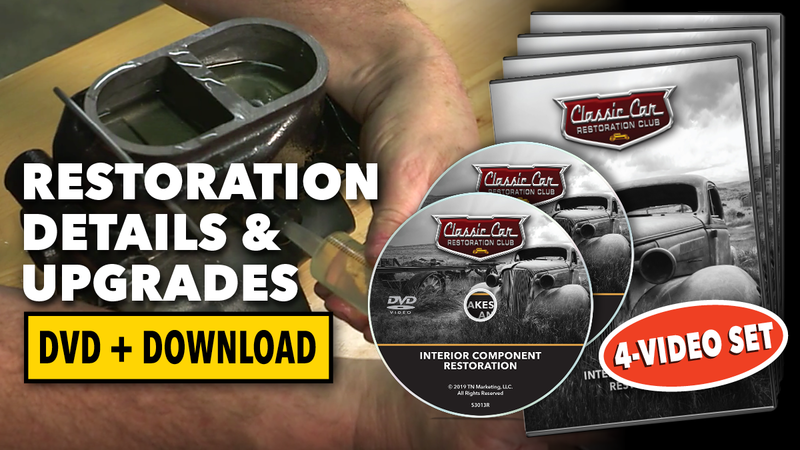 In this 4-Video set, join Mark Simpson as he takes on a host of restoration projects as well as repairs and diagnostic tests. 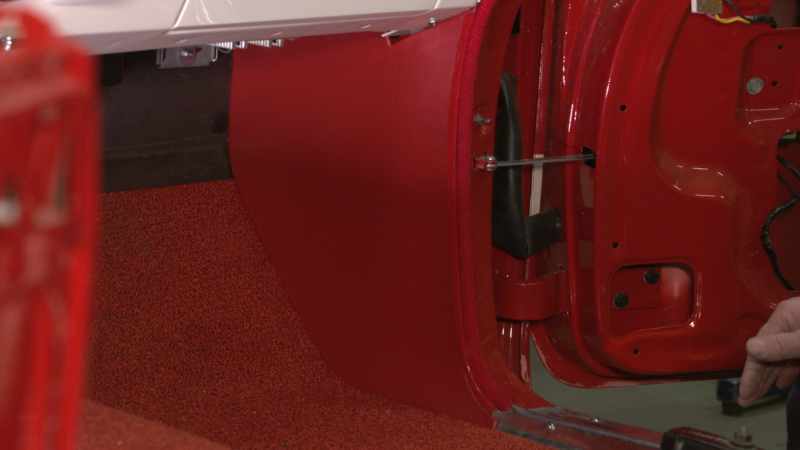 One of the most common upgrades for classic cars is adding modern power brakes; we’ll take on this project and explain all of the components and fluids needed to do the job right. We’ll also cover these important topics: Demonstrating how to bench bleed master cylinders; do a vacuum test; how to check for vacuum leaks; convert to LED lighting; engine timing; electric choke conversion; installing Corbin hose clamps; straightening/polishing aluminum; plastic parts repair; building interior panels; exhaust system installation; and much more! 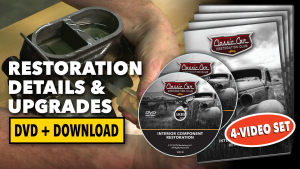 This set is a must-have for your restoration reference library. You’ll get a total of 4 hours, 14 minutes of instruction in this set. PLUS, you’ll get all 4 videos in both DVD and download form with your purchase. This way, you can save the instruction on any device you wish, and watch it anytime, anywhere! The single most popular upgrade to classic cars is improving the brake system. Understanding how each of the components work together in a braking system is key to making the right choices. In this video, we’ll upgrade a braking system and discover the differences in braking when larger master cylinder bore sizes are used as well as larger diameter and dual diaphragm brake boosters. Mark Simpson also demonstrates the process of syringe bleeding master cylinders and different methods of bleeding brake systems. We’ll also discuss the different functions of the brake system combination valve to understand exactly how it works as well as what brake fluids are best for classic cars and why. 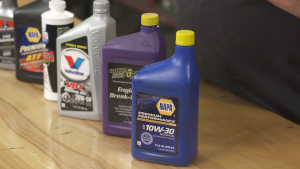 Engine vacuum is created as an engine runs, but the quality of the engine vacuum produced can help you diagnose potential problems with an engine. We’ll show you first-hand how to connect an engine vacuum gauge and run a test. We’ll also discuss what different readings can indicate about our engine health. LED replacement bulbs have become commonplace in the classic car marketplace. Simpson discusses some of the options available and the steps you’ll need to take for your system to operate properly. Car enthusiasts have argued the merits of white LED taillights versus red LED taillights bulb. Those who state the white LED bulbs are better in taillights insist they’re just brighter… period. While those who claim red LED bulbs are better point out that the red taillight lens filters out much of the white light and all of the red LED light travels through. We decided to put it to the test. If you drive your classic car, you’re going to have to work on it – or even improve it. Join Mark Simpson as he takes a look under the hood to tackle a few common tasks you’ll likely run into when working on your car. Simpson explores a range of topics from properly using and lubricating gear pullers, to preventing brake fluid drips when filling master cylinders, to properly installing hoses and Corbin style hose clamps. He also dives deeper into restoration details like recreating stapled to metal seals and converting from a manual heat riser choke to an electric choke on a Carter WCFB carburetor. While we’re under the hood, we’ll give our ride a tune-up and replace the points, set the gap and discuss the process of setting the dwell. But we won’t stop there – with new points it’s essential we time out the engine, so we’ll look at the process of engine timing and discuss in detail the dynamics at work when an engine is timed as well as the effects of over advance or over retarded timing. Most classic car guys cringe at the prospect of having to work on the interior or upholstery in their car. But you don’t need to know how to sew to take on many projects in your car’s interior. 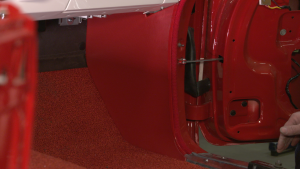 In this video, you’ll discover how to make your own ABS interior panels, build your own kick panels from scratch using textured upholstery panel board, repair cracked and broken plastic panels, and restore texture to plastic panels. Mark Simpson even shares a great tip to avoid chipping paint when putting screws into painted trim pieces. Anodized aluminum interior trim pieces can become scratched and damaged, and the hard anodizing makes it nearly impossible to repair them. Simpson demonstrates how to efficiently remove the anodizing without damaging the aluminum. Then he demonstrates how to straighten and remove scratches, and then polish them to a high-luster. Own a classic car long enough, and you’ll end up having to replace the exhaust system. Join Mark Simpson as he explains the process of installing a new Waldron’s stainless steel exhaust system on our project ’57 DeSoto. He’ll explore the mounting process, clamping, exhaust hangers, pipe routing, and exhaust tips. As well as a few tips to help the installation go easier. Exhaust pipes don’t always fit together as they should, often the mufflers are manufactured by a different source than the rest of the pipes and can be difficult to fit together. Simpson explains the use of a tail pipe expander and how it can be used to stretch pipe openings or fix damaged pipe ends. Rusty cast iron exhaust manifolds or even master cylinders can be a distraction in a neatly detailed engine compartment. 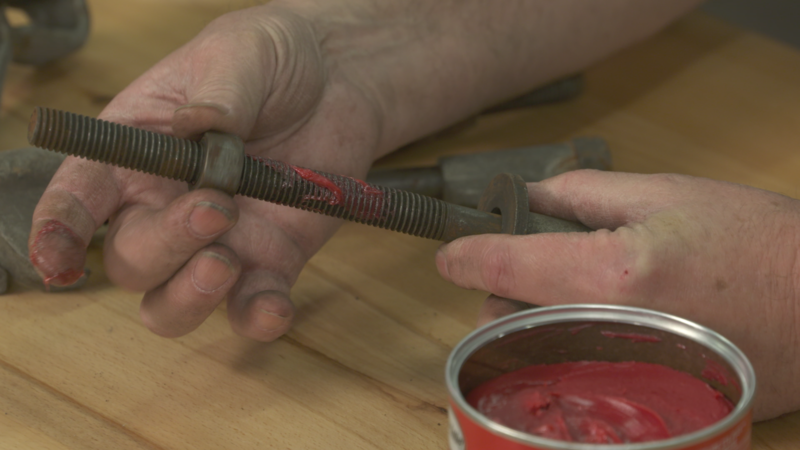 Simpson demonstrates how to freshen up the look of the cast iron parts with dry graphite spray that looks good and is easy to touch up. Modern oils, fuels and fluids have changed over the years from when many of our classic cars were built. Simpson discusses many of these changes and how it is important to the life of your classic car to make the right choices when selecting which products to use in your car. When restoring a classic car or building a custom car, there are always times when you need to create items that are no longer available or to create something that is totally unique to your car. 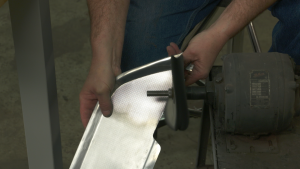 Etching non-ferrous metals gives the car restorer many options to get creative with your classic. Mark Simpson takes us step-by-step through the process to create wheel center medallions, data plates, shift indicators and more. This is one sure way to set your car apart from the rest.